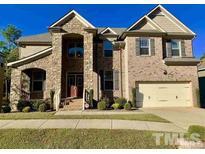 Below you can view all the homes for sale in the Olde Liberty subdivision located in Youngsville North Carolina. Listings in Olde Liberty are updated daily from data we receive from the Raleigh multiple listing service. To learn more about any of these homes or to receive custom notifications when a new property is listed for sale in Olde Liberty, give us a call at 919-759-5511. All minutes away from US 1 (Capital Blvd), Hwy 98 and 540. MLS#2248776. 5180. 2 car garage, Deck overlooks WOODS W/GOLF COURSE VIEWS! Community clubhouse/POOL MLS#2241518. 4852. On-site agents are here 7 days a week, so come see us Mon/Tues/Thurs/Fri: 11am-6pm, Wed/Sun: 1pm-6pm, Sat: 10am-6pm! MLS#2241244. 2983. (Lease/Option Avail) 2-10 Home Warranty Included. MLS#2238245. 1127. Owners suite has sitting area and master bath has separate garden tub and shower with 2 vanity areas and huge walk in closet. MLS#2235720. 5013. Sales center to be converted back to 3 car garage. Furnishing NOT INCLUDED. MLS#2239404. 5180. Community pool, fitness center, playground etc to top it all.. MLS#2238942. 5180. Neighborhood amenities include, pool, clubhouse, covered picnic area, and gym. 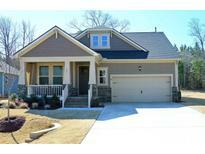 MLS#2238936. 5180. Golf Course community offers amenities that include pool, clubhouse, workout room, covered picnic area and a lot more. MLS#2238941. 5180. Don't Snooze, you will loose. MLS#2238560. 5180. Great space for entertaining outdoors. Must see! ! MLS#2238006. 5026. The XL community pool has a 0 depth entry, built in gas grills & shelter! MLS#2235449. 4883. Same floorplan as finished model for viewing. MLS#2212974. 1133. Photos ARE NOT of actual home and are for representational purposes only. Golf and swim community. MLS#2207659. 2983.